These App Store Optimization tips will help you acquire free users and reduce user acquisition costs. OK. You have a great app, a unique app, an app everyone will love. Everything is wonderful, but I have some bad news for you: there are approximately five million (5,400,000) apps in both the Apple App Store and the Google Play Store (source: Statista) and if you don’t make the proper efforts to optimize it for the stores, nobody will organically find, download and use your app. And you don’t want that. Much worse than that, imagine that a competitor (offering a very similar product) suddenly shows up and steals your target audience… Believe me, you don’t want that either. Fortunately, there’s a fix for that, and it’s called App Store Optimization (ASO). To help you boost your mobile app business, regardless of your user acquisition budget, I’ve put together a list of 7 ASO tips and best practices that will make your life easier. But first, let me explain something about installs. What is an organic install? An organic install takes place when the user discovers and installs your app without any help, meaning that he hasn’t seen any ad or an affiliate (measured) link from another website or mobile app. In a perfect world, where all paid campaigns and owned sources are properly measured, organic installs are generated via app store search, top charts rankings and Featured, while the users browse through the app stores to discover new apps. It’s important to distinguish (and measure) these three different sources of installs: paid, owned and organic. Now, let’s go for the ASO tips! 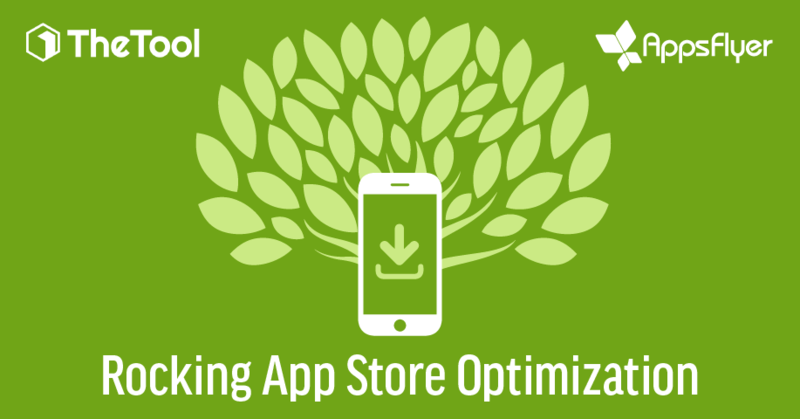 Tip 1: App Store Optimization (ASO) is a reality… Do it! As you may know, ASO is the process of optimizing an app in order to increase its visibility in the app stores, improve conversion rates and boost organic installs. Basically, ASO is about traffic and about CRO (Conversion Rate Optimization): The more traffic your app store listing has and the higher your conversion rate is, the more free installs you get. According to Apple, 65% of app downloads in the App Store come from search queries, so don’t think twice and work on your ASO. Your app will thank you. In some ways, ASO is similar to web SEO (Search Engine Optimization) mostly when it comes to Search (App Search Optimization), but there’s a relevant difference: web paid campaigns don’t impact SEO, while paid mobile user acquisition campaigns have a direct impact in ASO. When you run paid campaigns, keywords and top charts rankings of your app improve and visibility increases, so organic install volume increases too. There’s a direct relation between organic & non-organic installs: organic uplift. IMPORTANT: There are some differences between App Store ASO and Google Play ASO and the strategy for each market should be tailored accordingly. For example: Apple allows App Names up to 50 characters, while Google allows only 30 characters in app titles. So, strategies for both markets shouldn’t be the same. When it comes to Search, ASO is all about the keywords. Choosing the right keywords for App Store Optimization can become tricky for some people. Ask yourself: which keywords are best associated with your app? Would you feel identified with a “working out” keyword if your app is about cooking? Once you get the idea, you can search for the related keywords using Google Play “auto-complete keywords”. Enter any keyword into the Google Play Search Bar and you will get some nice suggestions for it. all that’s left to do is to pick the ones that fit best and add them to the keywords you are already working with. Once you have chosen the right keywords, use a mechanism such as TheTool’s ASO tool to analyze them. Select the ones that have lower difficulty and more traffic at the same time. Your main goal is not only to rank high, but also to have an attractive listing in the app store, otherwise the conversion rate of your app or game will not be the optimal. Conversion rate is the number of the installs of your app divided by the total number of visitors of your app page (listing). 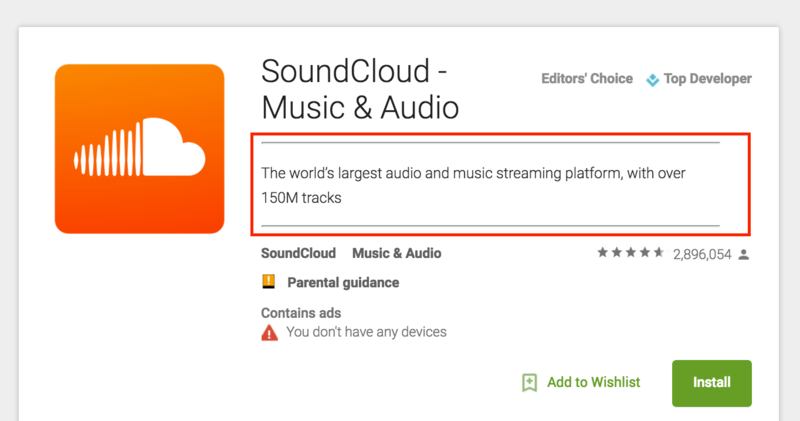 If the listing is not appealing to the users, they won´t download and install your app or game. Try changing different elements: title, icon, description, screenshots, etc, and see the impact that it has on your app’s conversion rate to install. Conduct A/B test to see the impact of these changes on the volume of installs. Once you have found the most favorable result, stick to it and enjoy the increasing volume of installs. Pro tip: when conducting A/B tests, evaluate each listing item separately, otherwise it will be complicated for you to measure which change has had the most impact on total installs. Don’t limit your application’s scope – if you can make it global, you should. You never know where you will find a demand for your mobile app or game – the US, Singapore, or maybe Brazil? Consider localizing your app store listing and enabling different languages to reach your potential users in other markets. You can do that in both the Apple App Store and Google Play. Look at the keywords for specific markets and improve them to boost visibility, conversion rates and volume of installs in each particular market. Remember that launching an app globally includes research and analysis of each market, identifying your keywords, competitors, top charts rankings etc. for each market. Don’t just blindly translate your keywords – adapt them! You need to know that there is always something to improve in your ASO strategy. In an ever-changing environment and non-stop competition in the app stores your ASO needs to adapt quickly to every change in the market. This is the only way you can keep up with your competitors or other apps that want to rank for the same keywords as you. It is not enough to measure your own app – start measuring your competitors if you haven’t yet. Daily control of your keyword rankings against the competition is a must if you want your app or game to succeed. Constantly monitor your app´s position in the top charts, your competitors’ ranking, and what other apps are ranking high in the same category or for the same keywords. Try to dig deeper and understand how do they achieved these results. Measuring and optimizing the keywords, top charts ranking, conversion rates and user reviews / ratings is an effort you need to make to ensure you are keeping up with your rivals. There is always something you can improve in your app’s listing, ASO is an ongoing process. From the moment the Apple App Store was created and ASO was born, numerous tools have appeared to facilitate monitoring and measuring every item related to the visibility of apps in the stores. There are tools for everything – keywords, top charts rankings, ratings and reviews, competitors, organic installs, organic revenues, etc. The biggest mistake that you can make as an app marketer is to not properly measure every ASO KPI related to your app’s visibility. For example, thanks to the official integration with AppsFlyer, in TheTool you can measure the volume of organic installs per day and country. This helps find out if your ASO strategy is working or not. You need to have data about the evolution of important metrics to have a wider perspective and make better ASO decisions. Try and use the new and existing tools to measure every detail of your app, and don’t forget about the previous tip – never stop optimizing. September 1st, 2016 marked a turning point in the app marketing industry. That was the day Apple changed the app name limit from 255 characters to 50 characters. This meant apps had to completely change their keyword strategy in order to adapt. Then, on the February 28, 2017 Google put into effect another change in the Google Play algorithm (learn more). Keyword rankings suffered some changes again, as Google announced that they will be rewarding the user engagement and ranking the apps with higher engagements in the top of the charts. You can learn more about the evolution to the app stores here. Having an ASO strategy in place is a crucial factor of success for any app or mobile game. You can build a perfect app, but without the right positioning, you will never actually reach your target users. Once you have implemented ASO and optimized the metrics of your app, keep on measuring your app and your competition, upgrade, optimize and adapt to any change in this fast-paced market. The better your ASO strategy is, the bigger impact it’ll have on the visibility and the volume of installs of your app, meaning that you will have to spend less money on paid user acquisition and in the end – achieve a higher volume of the organic installs. See you in the search results and the top charts! Did you find these ASO tips helpful? Don’t forget to share them on your social networks. 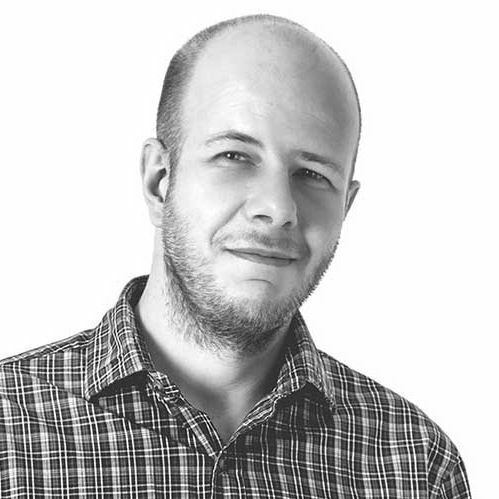 Daniel Peris is a co-founder of PickASO agency and TheTool – the first performance-based ASO tool developed in Spain by specialists with more than 10 years of experience in digital marketing and startups. Daniel has been doing SEO since 2007 and ASO since 2013 and has optimized over 200 apps from different niches: banking, retail, entertainment, gaming, etc.